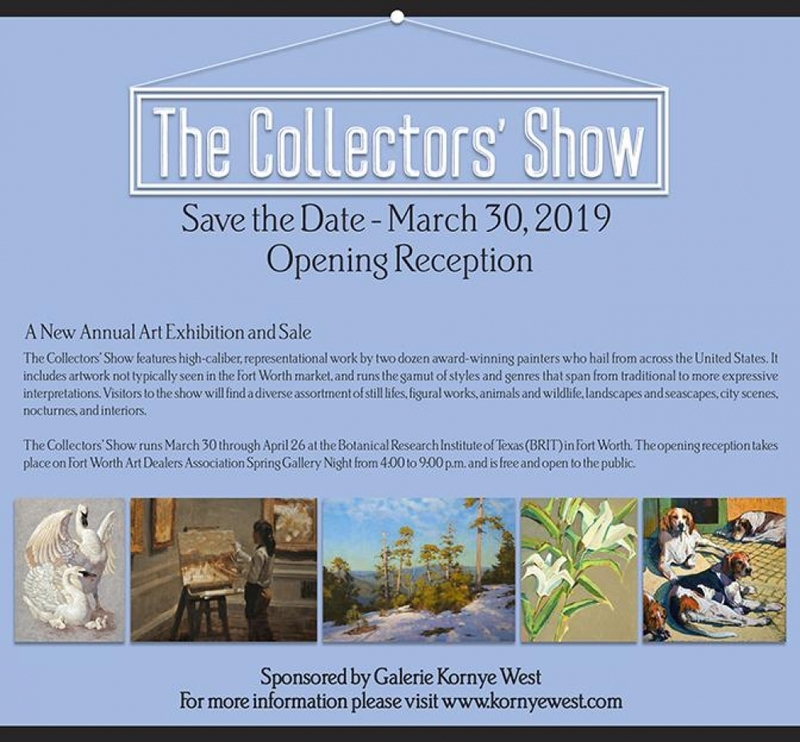 The Collectors' Show features high-caliber, representational work by twenty-five award-winning painters who hail from across the United States. It includes artwork not typically seen in the Fort Worth market, and runs the gamut of styles from traditional to more expressive interpretations. Visitors to the show will find a diverse assortment of genres comprising still lifes, figural works, animals and wildlife, landscapes and seascapes, city scenes, nocturnes, and interiors. This nationally regarded group of artists has consistently proven desirable among new and established collectors. This show marks the first time many of the painters have exhibited work in the region.